At the SuiteWorld 17 keynote in Las Vegas Jim McGeever laid out three pillars of investment for NetSuite under the Oracle ownership. Those three pillars are going global, SuitePeople and SuiteSuccess. First however he introduced Mark Hurd, CEO Oracle to allay some of the fears and rumours that have circulated since the acquisition. How much additional investment Hurd didn’t actually tell the audience. The inference was that as fast as NetSuite can deliver on expansion plans the funds would be there to support it. With the deal completing last November, due to a slight hiccup, NetSuite is now an Oracle Global Business Unit (GBU). Hurd wants to: “make the scale of Oracle a benefit to NetSuite, with none of the encumbrance of Oracle bureaucracy”. Effectively Oracle is to incubate NetSuite. Sales, service and development will all fall under NetSuite’s control according to Hurd. However, what he didn’t say is just as important. General administration and communications are falling under the Oracle processes. While this might be a sensible approach from a business point of view, there is a risk that elements of the business lose the friendly culture that NetSuite has nurtured throughout its history. Hurd also mentioned that Oracle would not dictate with whom NetSuite partnered. He did add that they would be encouraged to leverage the existing Oracle tools. Do not expect a partnership with competitors of Oracle like Marketo anytime soon. Netsuite will in fact work closely with Oracle, especially on large enterprise accounts. Oracle already has large enterprise customers that are rolling out NetSuite across their subsidiaries. With both ERP solutions on the same database platform consolidation is suddenly a lot easier. This makes sense and is an approach to the market that could win significant business from their long term competitor, SAP. Hurd’s message to SAP was clear: “We will do everything in our power, short if illegal to take market share from them”. The Oracle investment will also see NetSuite hire more people in the first quarter of 2018 than NetSuite hired in the whole of 2012. NetSuite will also increase its total number of data centres. It currently has five, three in the US and two in Europe. That growth will see data centres added in Chicago in the US and Germany in Europe. In Asia the plans are even more aggressive with four new data centres. Initially there will be two, one in Singapore and one in Australia. Japan and China will be added later. Speaking to Jason Maynard, EVP Strategy & Corporate Development, NetSuite, Hurd commented: “we believe the German market needs a modern ERP company.” The new data centre will be located in Frankfurt not that far according to Maynard from a certain German ERP company, whose home market NetSuite intends to attack aggressively. This expansion will also be supported by the expansion of new teams. In Europe this was announced earlier this year. However new offices will open in countries such as Argentina, Brazil, Colombia, Chile, Mexico, France, Germany, Sweden, Dubai, China, India, Malaysia and New Zealand. 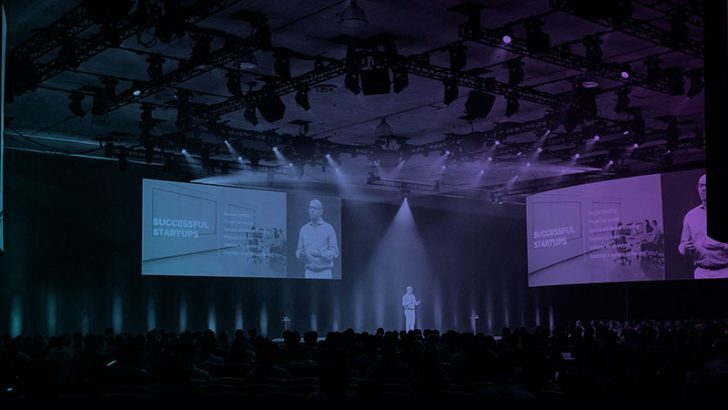 NetSuite is leveraging the Oracle global reach. Oracle already has staff in more than 60% of countries. This is not the only way in which Oracle are helping the expansion. NetSuite will also leverage Oracle’s development centres and will recruit from them. This is a sound approach and it sees Oracle bringing services to the table with the imposition of a large fee. McGeever also announced SuitePeople. This has been developed in secret by the TribeHR team that was acquired by NetSuite, including TribeHR’s former CEO Joseph Fung. It sees the addition of the last cog in the wheel for NetSuite. While payroll is available in the US elsewhere NetSuite has partners such as Celergo. SuitePeople is a basic HRM solution that will deliver substantial functionality right from day one. It already has plans to grow that functionality over time. Basic HR processes such as expenses, holiday requests and tracking leave will be recorded. They will also integrate an applicant tracking system. According to McGeever this is more than just YARIM (Yet another rapid implementation model), although at first glance it appears to be just that. However the model is more sophisticated than that. It lives through the entire customer lifecycle of the product. McGeever spoke about five phases: Remediate, expand, innovate, enhance and transform. These were three major announcements for NetSuite as they adjust to life under Oracle. Each of these demonstrate that they are doing more with Oracle money and less with Oracle people. SuitePeople has often been the missing link for the business centric ERP company and now that has, at least in part, been recognised. Next articleWhat powers the office of the future?